The Nigerian National Petroleum Corporation (NNPC) Friday asked Nigerians to disregard trending social media reports of an impending fuel scarcity due to purported refusal by some oil marketers to lift products from depots. 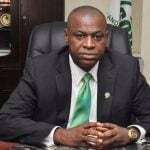 It explained in a statement from its Group General Manager, Group Public Affairs Division, Mr. Ndu Ughamadu, that such reports were fabricated by mischief makers with intent to create undue panic in petrol supply and distribution across the country. According to the corporation, it has over one billion litres of petrol in stock, with an additional 48 vessels of 50 million litres each expected to berth in the country for April 2019 alone. Although some petrol service stations in Abuja, especially within Wuse 2, Central Business District (CBD) and Wuse Zone 4 were seen by newsmen to have long queues of vehicles for petrol, the NNPC however stated that there was no need for such panic buying or hoarding of petrol because there was no product scarcity expected. It also assured consumers of the product that the pump price of petrol was still N145 per litre. The corporation had earlier in the week cautioned depot owners or terminal operators not to sell petrol above the official ex-depot price of N133.28k per litre. It stated that the subsisting ex-depot petrol price of N133.28k per litre was consistent with the Petroleum Products Pricing Regulatory Agency’s (PPPRA) template and should be adhered to, adding that the Department of Petroleum Resources (DPR) would move against operators that flaunt the approved ex-depot price. 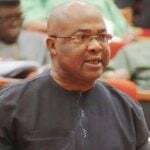 Imo State APC Elders’ Council Wednesday said that it will support the governorship candidate of the party, Senator Hope Uzodinma, in the pursuit of his mandate at the Election Petition Tribunal. 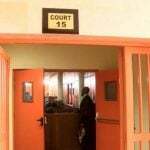 A Senior Magistrates’ Court, Ilorin, Kwara State, on Wednesday ordered that a 70-year-old man, Ibrahim Akande, be remanded in Okelele in Oke-kura Prison over alleged N2.2 million job scam. 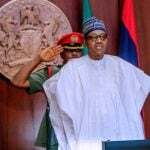 The Standards Organisation of Nigeria (SON) said on Wednesday that it confiscated fake and substandard products worth more than N300 billion across the country within the past few months. 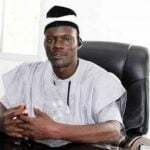 A Niger Delta-based environmentalist, Mr Mulade Sheriff, has said that bad leadership is responsible for the slow national growth and development, especially in the Niger Delta. World number one Naomi Osaka will have a chance for revenge on Taiwan’s Hsieh Su-wei this week when the two meet in the second round of the WTA tournament in Stuttgart. 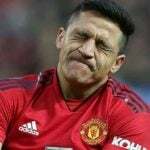 Ole Gunnar Solskjaer has warned Alexis Sanchez and the rest of the Manchester United squad that the club will not carry players as he looks at rebuilding over the summer. 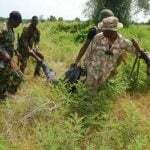 The Nigerian Army said on Tuesday that troops of 72 Special Forces (SF) Battalion in Makurdi killed suspected mercenaries and averted a clash between two Tiv clans – the Shitile and the Ikyora. 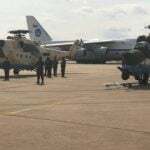 The Nigerian Air Force (NAF) yesterday said its Air Task Force (ATF) for Operation Diran Mikiya has neutralized no fewer than 10 armed bandits at Sububu Forest area in Zamfara State. 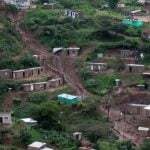 The number of deaths from floods and mudslides that crushed homes in the South African port of Durban early Tuesday has risen to 23, authorities said.